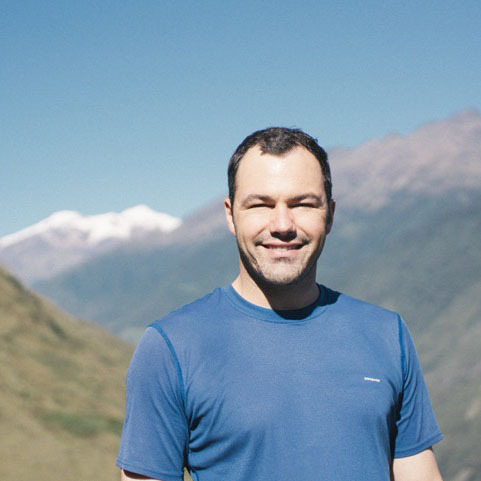 The insider advice on this page is from one of Wendy’s Trusted Travel Experts for Chile: Jordan Harvey of Knowmad Adventures. Jordan’s love affair with South America began with a high school study-abroad program in Chile. 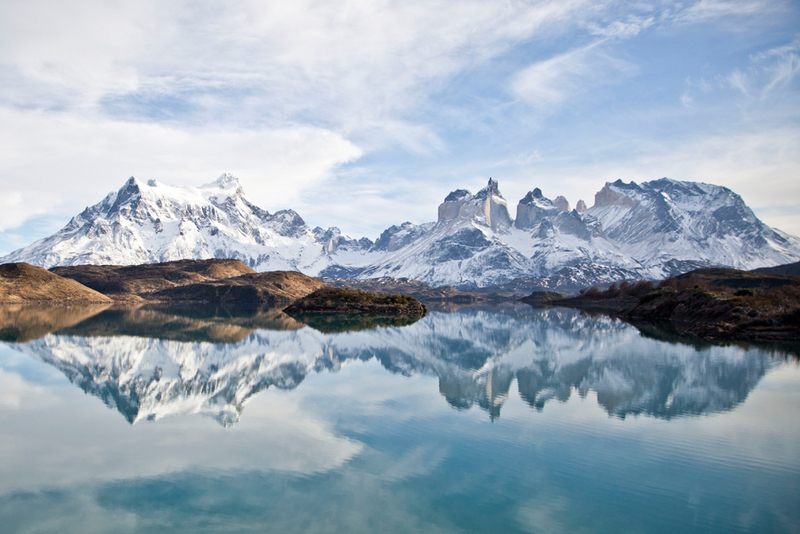 Recognizing the potential of Patagonia before it hit most travelers’ radar, he and his wife spent a year there developing the contacts—winemakers, true-blue gauchos, indigenous families—that now give their travelers a deeply authentic experience of Chile and Argentina, from Salta’s gorgeously rainbow-hued scenery to Easter Island’s mysterious moai. Jordan loves juxtaposing the several sides of Chile—the driest desert in the world, the temperate rainforest, and the vast Patagonian landscape—and combining awe-inspiring lodges with remote agritourism enterprises. His background as a wilderness guide gives him an edge in picking the best adventure experiences, from stand-up paddle boarding on blissfully empty lakes to horseback riding past jagged peaks and icy glaciers. And what we love even more is that he was one of the first travel planners to seek out and cultivate local guides, rather than importing tour leaders from other parts of the region. Trips start at $1,000 per day for two travelers in Patagonia, and $800 per day for two travelers elsewhere in Chile and Argentina, and generally include accommodations, private transportation, and guides and meals when necessary. Pucon itself is overrated, but the Lakes District as a whole should be on more travelers’ radar. With turquoise rivers, abundant lakes, lush temperate rainforests, and photogenic volcanoes, the area around Puerto Varas—a less-developed Pucon—is a nature- and adventure-lover’s paradise: Here you can raft the Petrohue River, take light hikes among ancient alerce trees, visit volcanically formed waterfalls, experience a small-town blend of German and Chilean cultures and architecture, and walk back in time by exploring the islands that make up the Chiloe Archipelago (which has its own mystical traditions and maritime culture that are quite disparate from the mainland’s). And it’s a lot more budget-friendly than Torres del Paine. The Atacama Desert. Imagine the surreal landscapes of the American Southwest mixed with the oddities and vastness of Yellowstone (both sit atop super volcanoes) and the indigenous cultures of Bolivia; throw in a dash of Mars and the clearest night sky on the planet, and you have the Atacama Desert. Hike through a sandstone canyon to the natural crystalline Puritama hot springs, photograph flamingos in the salt flats, and take in the sunrise as the Tatio Geyser erupts. Wine Country. Food and wine are integral to Chilean culture. There are several valleys within driving distance of Santiago that produce wines of excellent quality—and value. As for places to stay, Apalta Residence and Viña Vik quietly do luxury wine-country experiences every bit as well as you’ll find in better-known areas such as Argentina’s Mendoza region. Pucon figures prominently in guidebooks as a flagship adventure destination in the Lakes District, but it’s overdeveloped and crowded. Lastarria is a historic Santiago neighborhood; its pedestrian mall is home to great shops and restaurants such as Bocanariz and Café Lastarria, and it’s situated a stone’s throw from Parque Forestal (the city’s largest park) and the Bellas Artes Fine Arts Museum. Have an ice cream at the beloved Emporio la Rosa (Chileans are passionate about their ice cream), or visit San Cristobal Hill to see the local lovebirds and take in sweeping views of the city. The stylish boutique hotels you’ll find in Lastarria are an alternative to the more whitewashed business districts of Los Condes, and they make Santiago a much more user-friendly, intimate destination where you can get a feel for modern-day Chilean life. 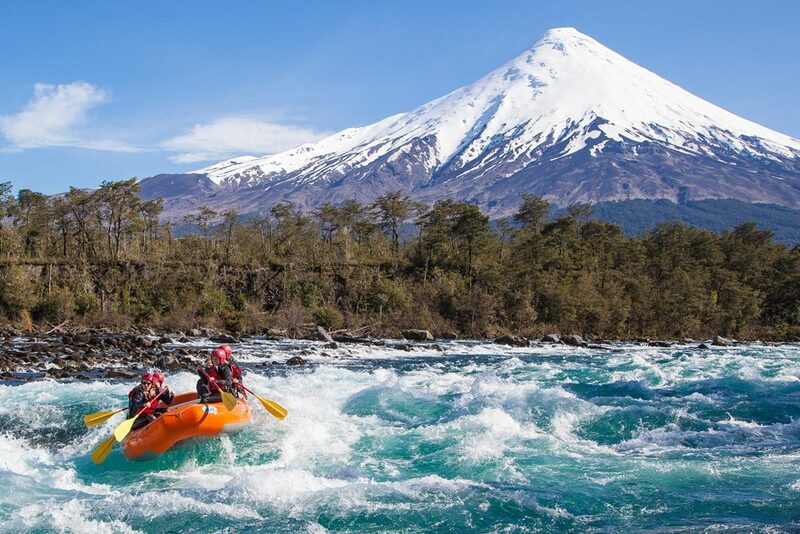 For outdoor enthusiasts visiting the Lakes District, I highly recommend taking a half-day rafting trip down the Petrohue River—a turquoise gem from which you can see four volcanoes on a clear day. While it’s not at all technical and thus is suitable for beginners, the river’s large wave trains will excite even experienced rafters. 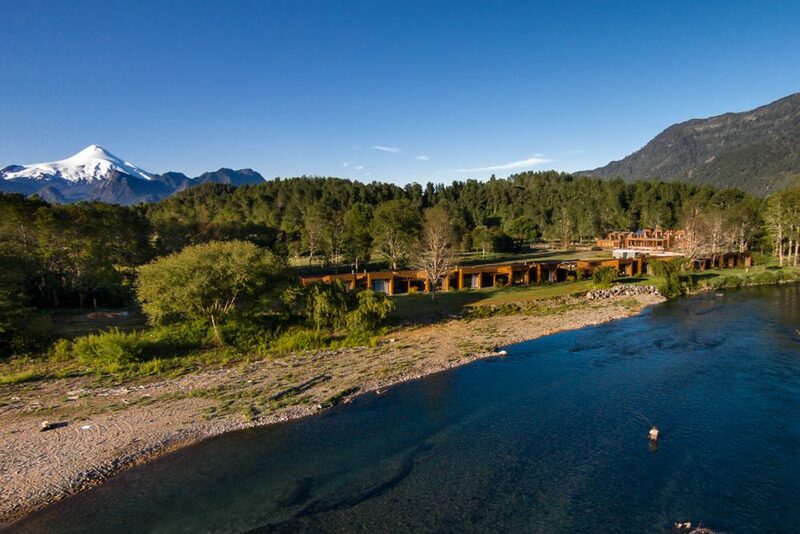 While it’s not cheap, Hacienda Hotel Vira Vira, in the Lakes District, offers excellent value for the wide range of activities available on site: Trying to fit world-class fly-fishing, whitewater rafting, biking, hiking, sailing, and horseback riding into a single trip would be quite a bit more expensive in Patagonia. The rates include all excursions and excellent meals (90% of the food is grown on site, and there’s a cheese-making operation too). The hotel rooms are considerably less expensive than the villa suites; the corner room is my favorite, with a big balcony. But for a truly over-the-top experience, opt for a villa overlooking the river, with an outdoor hot tub perfect for stargazing. Patagonia Camp is right in the sweet spot: a huge savings from the region’s ultra-spendy adventure lodges, and far more intimate—and closer to nature—than the three- and four-star alternatives. There are 20 yurts on the property. If you can spend a bit more, opt for one with a private jacuzzi on the balcony; of these, yurts 19 and 20 have entirely unobstructed views, but are still nicely secluded. Of the standard options, 4 and 5 are my favorites, as they’re also more secluded. My travelers receive a basket of sweets, local berries, and the like. Sandwiches are the apple pie of Chile. Live like a local and order a lomo Italiano at the counter at Fuente Alemana in Santiago. With shaved pork as high as the Andes and what seems like pounds of palta (Chilean guacamole), tomatoes, and house-made mayo wrapped up in a crusty roll, this sandwich is not for the faint of heart. The name comes from the red, green, and white of the ingredients—just like the Italian flag. The tasting menu at 99, in Santiago, is a sort of culinary tour of Chile, with ingredients coming from small-scale producers in different regions of the country. It’s a casual place akin to a bistro, yet the food is very sophisticated, while not sparing flavor. A wide terrace opens onto the vibrant Providencia neighborhood. Chile has many picadas, which are essentially no-frills watering holes; the best of them become the center of the local community. Kiosko Roca has for eons been the heart of Punta Arenas, beloved to Magallanicos (the local people). Going there is really about the people—not the food—but try a traditional leche con platano (a banana milkshake) and a choripån (think of it as a Chilean hot dog). Chilotes (residents of the Chiloe Archipelago) are renowned for their fine telares, or woolen handicrafts. Find them at the markets in the main town of Castro, and in nearby Dalcahue, which is a bit farther off the beaten path. The most intriguing pieces depict spirits from the local animist faith. Chile is roughly twice the length of California, so it covers vast latitudes and corresponding climates. March and mid-November through mid-December see the best weather throughout the country: warm temperatures in Patagonia, dry days in the Lakes District, and no oppressive summer heat in central Chile or Easter Island. You’ll also avoid high season, which picks up before Christmas and lasts through February. 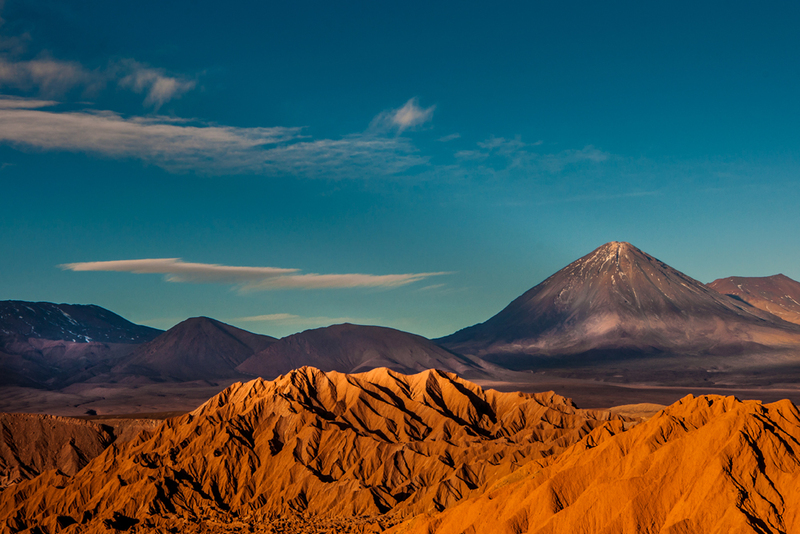 The Atacama Desert is a year-round destination. May through August isn’t optimal in most of the country (unless you want to ski): It’s chilly and rainy in the Lakes District; cold and snowy in Southern Patagonia, and warmer but overcast around Santiago and wine country. People underestimate the distances between Chile’s major sites—and thus the time needed to visit them. 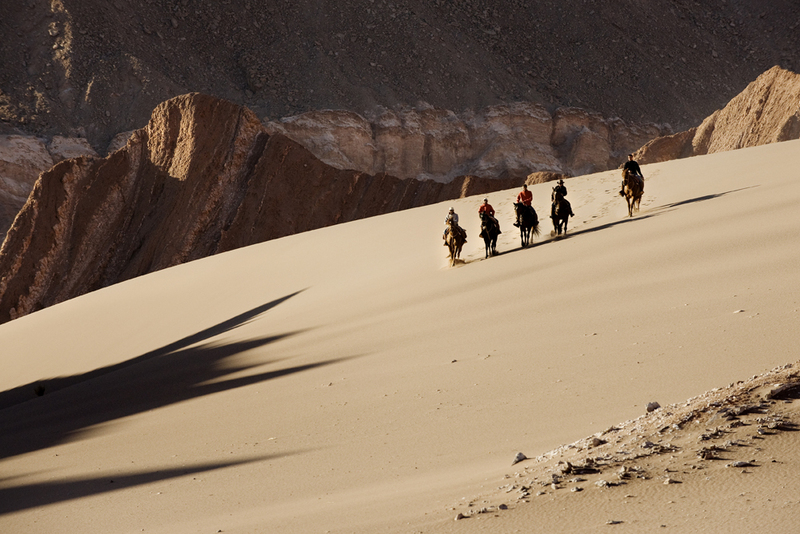 To properly see the Atacama Desert and Patagonia, for example, you need almost two weeks; this includes at least four nights in Atacama, so that you have time to acclimate to the altitude, and a night in between, since schedules usually don’t allow you to fly from one to the other on the same day. Similarly, Easter Island is a nearly six-hour flight from Santiago, so you’ll want to spend at least three nights if you go. It’s also logistically cumbersome to fly between Chile and Argentina: Even places that look close on a map often require flight routings through each country’s capital. Chile is pretty picky about any foods brought through customs—especially fruit, nuts, and dairy. To avoid inspections that can sometimes last up to two hours, finish those snacks before you land. Luggage storage is available at the Santiago airport and handy for travelers heading to multiple locations (Easter Island and Patagonia require very different clothing). Hoard small bills! Large denominations are hard to break, and it can feel awkward to ask for change when tipping a driver or guide. Check your restaurant bill to see if it already includes a tip; if not, leave 10%. A bandana or Buff is great for keeping the hair off your face and the wind off your neck. Vaseline or a thick lip balm is unexpectedly versatile: Use it on sunburnt lips from the altitude in Atacama, chapped hands from the winds of Patagonia, or that backpack zipper that gets stuck on the first day of the trip. In addition to a rain jacket, bring a cheap rain poncho that you can throw over your backpack if you’re caught in the rain.